I have heard so much about using gauze in ink bottles from friends I have to try it out myself. 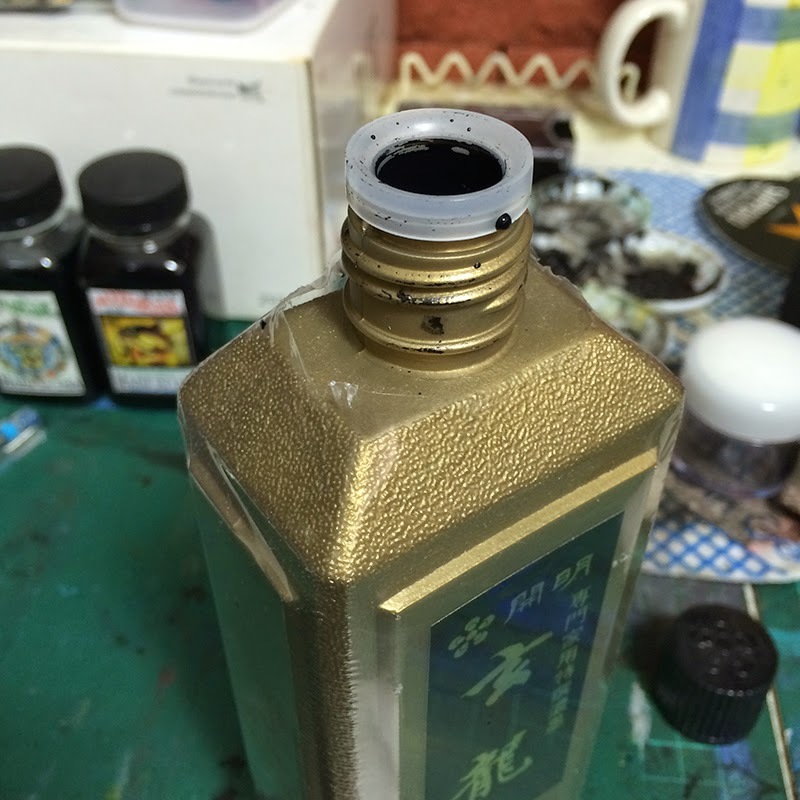 Instead of using an actual ink bottle, I used a solvent container that is used for outdoor oil painting. It has a clip underneath it so I could clip it on my sketchbook or drawing board when I am sketching outdoors. Instead of gauze, I used facial cotton that works the same as gauze. Now I can bring my sumi ink (or chinese ink) out in my bag without the fear of spilling it and soiling my stuff in the bag. 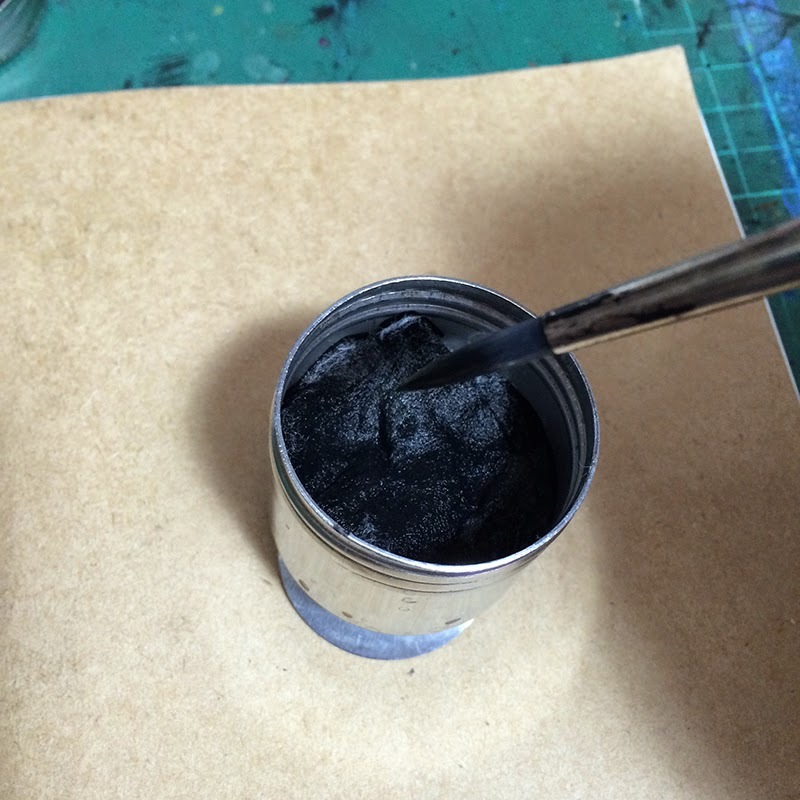 The gauze would ensure that there is no excess ink on the brush or bamboo pen when I dip into the container. 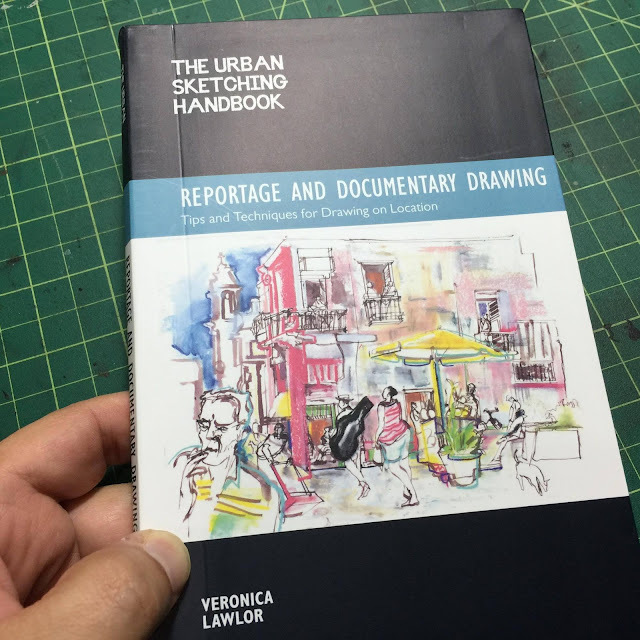 So no mess when I draw, even when I clip it on my sketchbook. 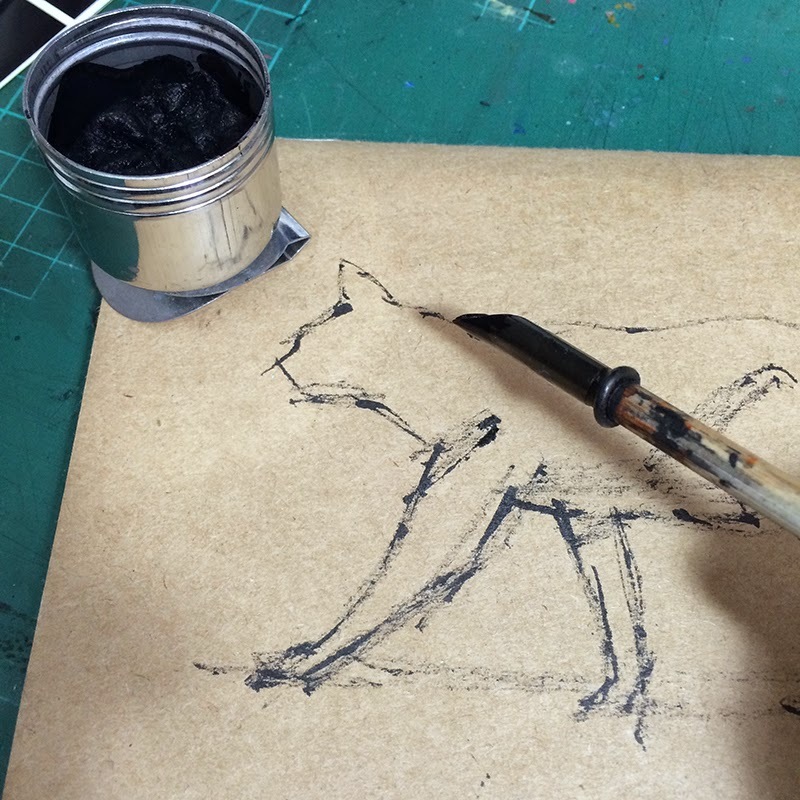 Quite a nifty method of bringing out ink to location drawing trips. Did you make that container yourself or did you purchase it? And how do you keep your brushes after you've inked, do you wash it with water from a water bottle or do you leave it to dry? Sorry for the questions. I find it very brilliant and plan on following this technique! I would love to try this out myself, thanks so much for sharing! Hi Lyn, no I did not make the container myself as I purchased it from the art supplies. You can get similar contained too. 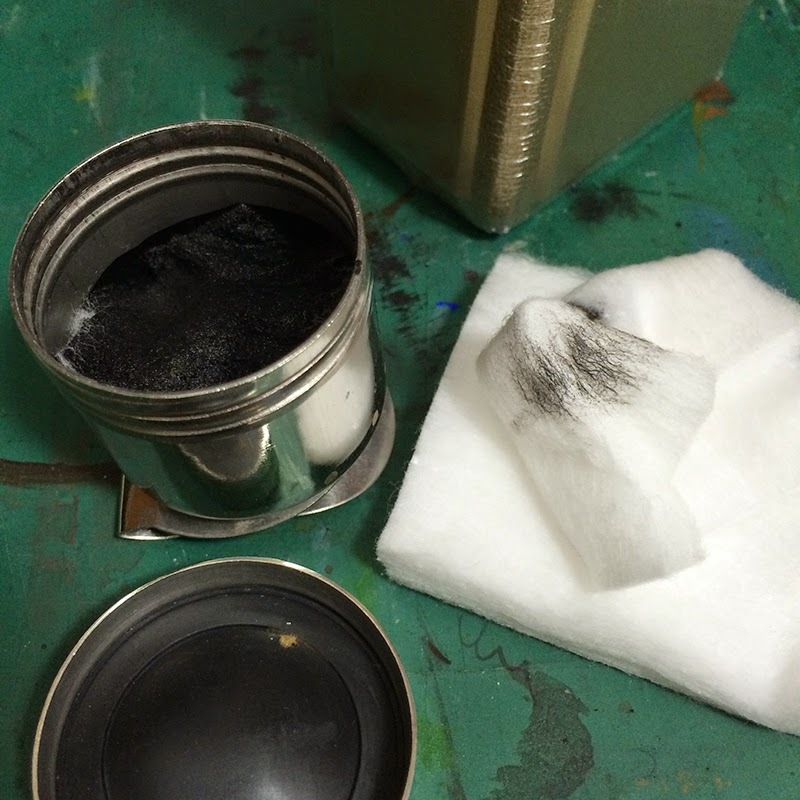 This metal contained is used to contain oil painting solvent for plein air purposes. I like this because its air tight. But it is not necessary to purchase this. Any contained with a screw on cap would suffice. I wash my brush after used. 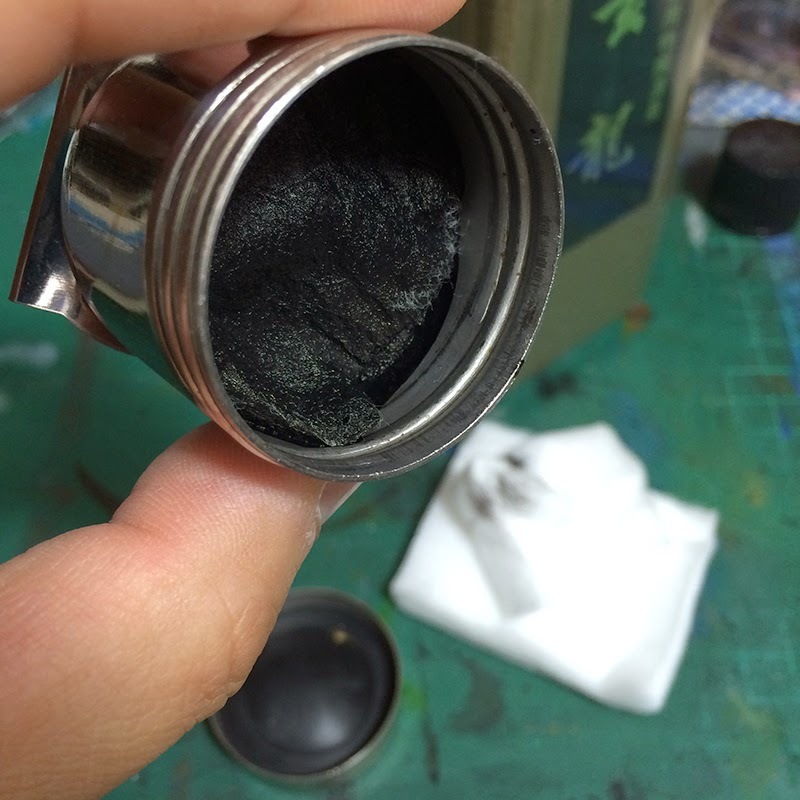 I have another small container with water to wash my brush as well as to paint. For this method i don't paint or draw big. No worries about the question. I am looking forward to seeing your results too. I hope I am not too late to reply you. 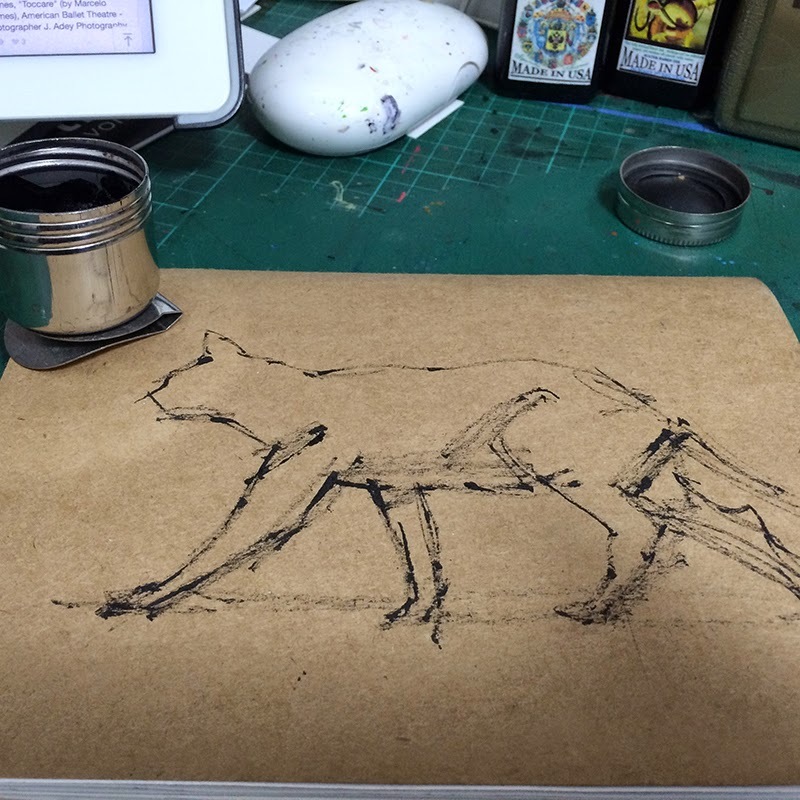 I like the look of your final "scratchy" sketches but would a user be limited to this end result? There are a few details missing in your article and your title is misleading; I don't see an ink bottle. Presumably the metal container (ink bottle?) has a screw-on lid. How did you know when to stop putting ink in the container so that it would not still leak out of the container? 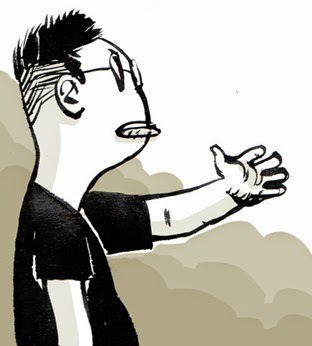 How long does it take for a pen-nib to absorb enough ink to actually draw with? 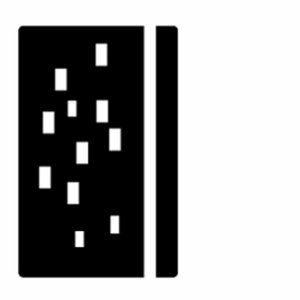 OK, sorry, now I think I see the container-lid in your last photo. I purchased the container in the photo. But you can use any kind of bottle, glass or plastic. Pill container etc. As long as you have the gauze in it. I wash my brushes all the time to keep the bristles from hardening. Sometimes I have another bottle of water to wash my brushes in. How did you know when to stop putting ink in the container so that it would not still leak out of the container? I fill in gradually and see the ink get absorbed into the cotton or gauze, until it gets slower to absorb, which means the gauze or cotton is saturated with ink already. You don't need ink to be flowing in the bottle. 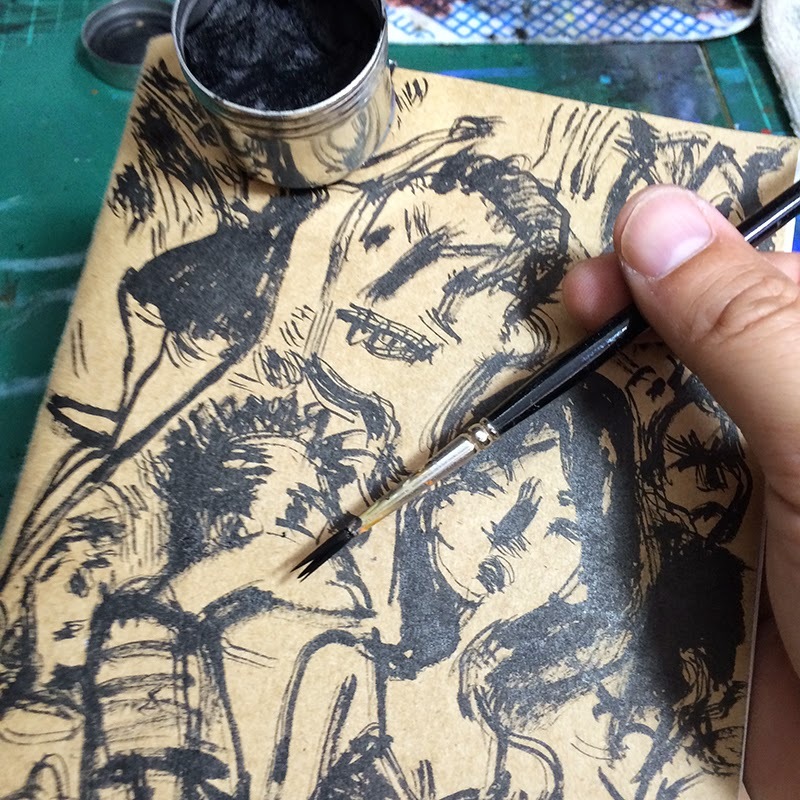 When you dip the brush in, try pressing the cotton a little, you would see the ink being squeezed out.